FILE PHOTO: An atrols iAfghan National Police (ANP) vehicle pn the Tarin Kot district of Uruzgan province on September 8, 2016. An attack on U.S. troops in Afghanistan that killed one American was carried out by a member of the Afghan national police who is now in Afghan government custody, a U.S. official said Tuesday. It was the second so-called insider attack there this summer. Lt. Col. Martin O'Donnell, a spokesman for the U.S.-led coalition in Kabul, said in a telephone interview Tuesday that the American was killed in eastern Afghanistan by an Afghan policeman. Another U.S. service member was wounded; O'Donnell said that person's wounds are not life-threatening. On Tuesday evening the Pentagon said the soldier killed was Army Command Sgt. Maj. Timothy A. Bolyard, 42, of Thornton, West Virginia. It said he died of wounds sustained from small arms fire in Logar Province, but it provided no other details about the incident. Bolyard was assigned to 3rd Squadron, 1st Security Force Assistance Brigade, based at Fort Benning, Georgia. His brigade was sent to Afghanistan early this year as part of a revamped American strategy to bolster the Afghan security forces by placing U.S. military advisers with Afghan troops closer to the front lines. When the Monday attack was announced, the coalition termed it an apparent insider attack. The new U.S. commander of coalition forces, Army Gen. Scott Miller, called the death "a tragic loss for all who knew and all who will now never know him." O'Donnell said in a telephone interview Tuesday that it now has been "definitely" determined that the attacker was an Afghan policeman. The shooter fled the scene but was apprehended by Afghans, he added. Separately, the U.S.-led coalition in Kabul announced that a U.S. service member died in a "non-combat incident" Tuesday, also in eastern Afghanistan. That service member's name has not yet been released. The threat of attacks on U.S. and coalition troops by Afghan soldiers and police is a persistent worry, although such violence is far less common than several years ago. There was an epidemic of attacks in 2012, with dozens of Americans killed and wounded in shootings almost weekly by the very troops the U.S. was fighting alongside. U.S. troops since 2014 have been mainly in an advisory and training roles, rather than combat. The 2012 rash of killings led to the development of new procedures and precautions by coalition forces, including the use of "guardian angels" — armed U.S. forces keeping watch whenever their fellow soldiers interact with Afghan forces. The reasons for such attacks are often not determined conclusively, but officials have said they sometimes reflect resentment by Afghans of the presence of foreign forces. U.S. troops have been in Afghanistan since 2001. The previous insider attack this summer was against one such U.S. protective soldier, Cpl. Joseph Maciel of South Gate, California. 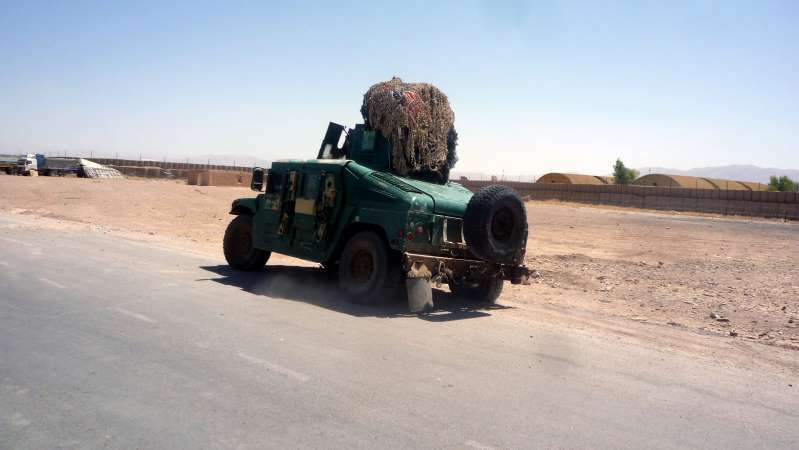 He was killed and two other Americans were wounded in an attack July 7 by an Afghan security force member at an airfield on the military base at Tarin Kowt in southern Uruzgan province, a Taliban hotbed.